Jett Foundation is delighted to announce that yesterday we gifted Michigan resident, Robbie Ivey, with a brand new handicap accessible vehicle as part of the Jett Giving Fund! 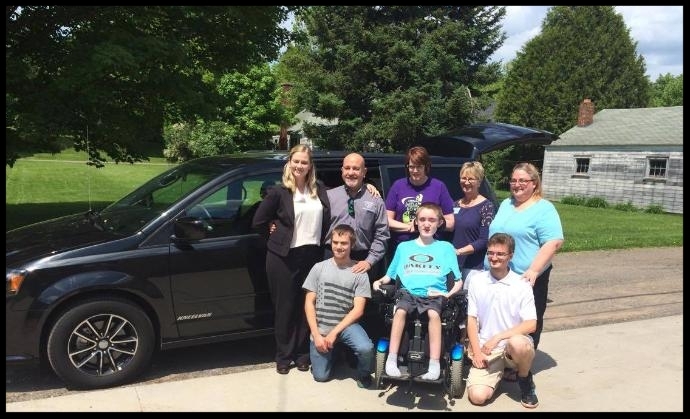 After Robbie, with the help of his local community, raised half the cost of the van for the Jett Giving Fund, Jett Foundation matched those funds and gifted the vehicle to Robbie and his family. Check out the local NBC affiliate, WLUC-TV 6, story on Robbie and his quest for a handicap accessible van!